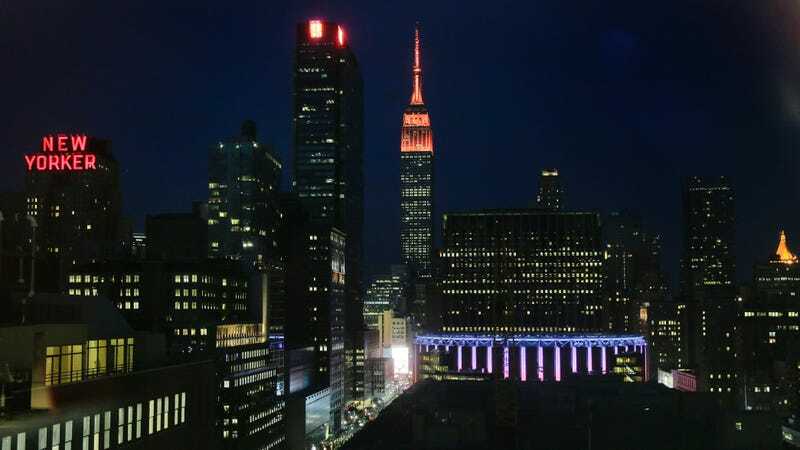 In celebration [of the winning bid for Amazon’s HQ2 competition], several key New York City buildings, including the Empire State Building and One World Trade Center, along with electronic billboards and CityBridge’s LinkNYC screens will light up in “Amazon Orange” tonight at 8:00 PM. New York is projected to give up 4 million square feet of prime waterfront property and close to $3 billion in state and city subsidies and incentives to one of the most valuable companies on Earth in exchange for 25,000 jobs that are likely to drive up rents and choke mass transit. What’s there left to do but celebrate?